A HPU seperate (HPU-sep) can give you maximum safety during the process of testing objects. The HPU is a seperated workshop test control system that is available in different configurations. Which gives you the opportunity to find the HPU system that fits your specific test requirements. 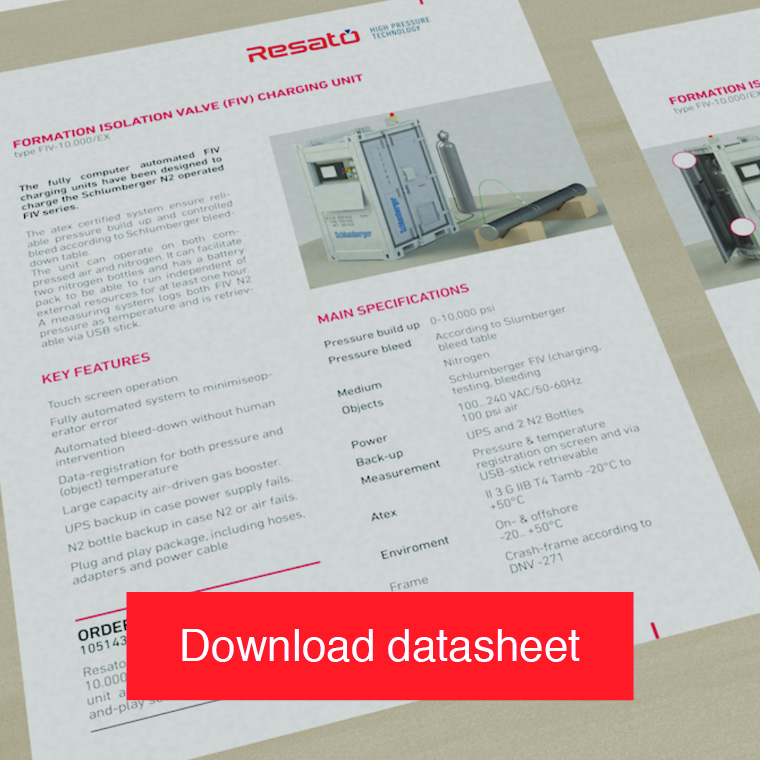 With the HPU-sep in combination with a Resato test system you can create a test bay setting. The high pressure test system and the test object are positioned in the test bay and the HPU-sep control panel is placed in a seperate control room. This results in a fully seperated setup with no high pressure components outside of the test bay, which offers you safe test circumstances. The HPU-sep has a wall mounted operating panel that gives the operator the chance to control the test system from sitting behind a desk setting instead of standing behind it. Furthermore, the HPU-sep has several additional features and options that support safe working conditions for your employees. One can install features like door safety switches, an emergency stop button and an unit mounted safety light that indicates pressure build up. It is possibe to extend these standard safety measurements with options like extra flashing lights, camera systems, and a door locking actuator for even more safety.